Élisabeth Roudinesco offers a bold and modern reinterpretation of the iconic founder of psychoanalysis. 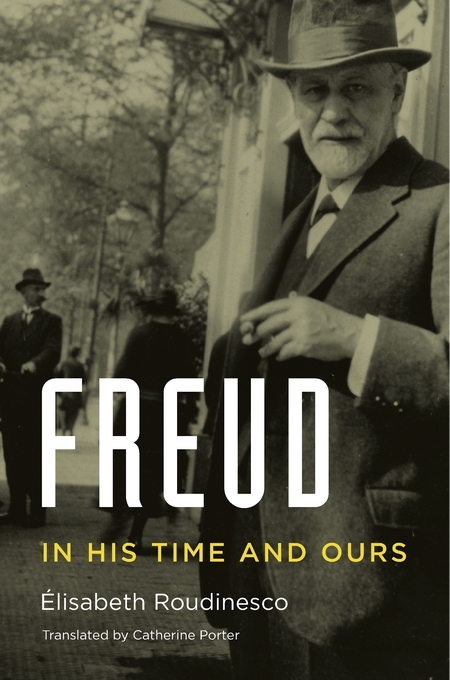 Based on new archival sources, this is Freud’s biography for the twenty-first century—a critical appraisal, at once sympathetic and impartial, of a genius greatly admired and yet greatly misunderstood in his own time and in ours. Roudinesco traces Freud’s life from his upbringing as the eldest of eight siblings in a prosperous Jewish-Austrian household to his final days in London, a refugee of the Nazis’ annexation of his homeland. She recreates the milieu of fin de siècle Vienna in the waning days of the Habsburg Empire—an era of extraordinary artistic innovation, given luster by such luminaries as Gustav Klimt, Stefan Zweig, and Gustav Mahler. In the midst of it all, at the modest residence of Berggasse 19, Freud pursued his clinical investigation of nervous disorders, blazing a path into the unplumbed recesses of human consciousness and desire. Yet this revolutionary who was overthrowing cherished notions of human rationality and sexuality was, in his politics and personal habits, in many ways conservative, Roudinesco shows. In his chauvinistic attitudes toward women, and in his stubborn refusal to acknowledge the growing threat of Hitler until it was nearly too late, even the analytically-minded Freud had his blind spots. Alert to his intellectual complexity—the numerous tensions in his character and thought that remained unresolved—Roudinesco ultimately views Freud less as a scientific thinker than as the master interpreter of civilization and culture.